We’re excited to announce that our 2019 spring exhibition is out in the world as of today. And this time we really mean out in the world. Due to our ongoing renovation we don’t have an actual exhibition gallery, so this year’s curator, Angela DiVeglia, moved the exhibition outdoors. 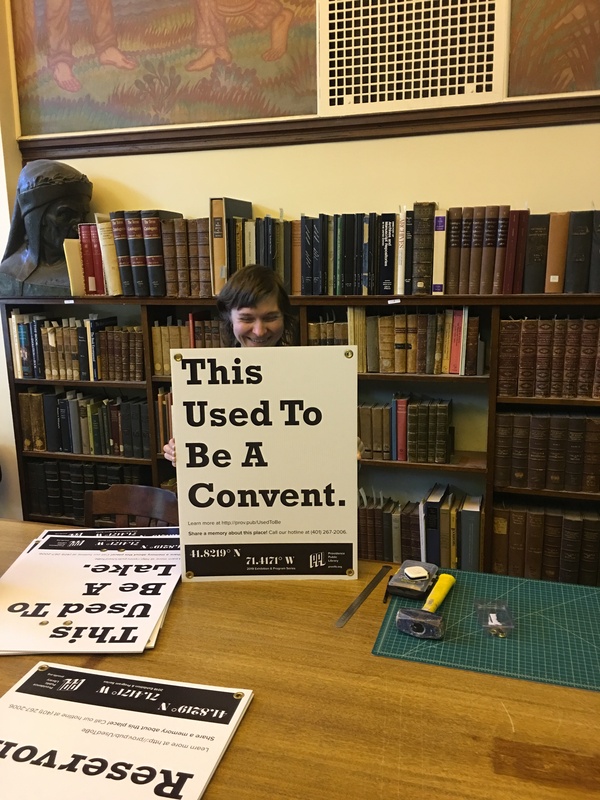 Exhibition curator, Angela DiVeglia, with one of the signs. Starting today, you’ll see signs like this one out in the wild, highlighting the fact that what looks like an empty piece of the city actually might have a colorful history. For instance, this looks a pretty nondescript parking lot, right? But it wasn’t a parking lot in 1914; instead it was Melrose Park, home to baseball’s Providence Grays and their young up-and-coming pitcher, Babe Ruth. You can read all about it via the Rhode Tour app or website, where you’ll find historic images of each site. You can learn more about the exhibition and program series on our website, where you can find a map of all the sites and links to the Rhode Tour website. Or stop by the library later this week to pick up a printed map. This exhibition is part of the Year of the City programming. 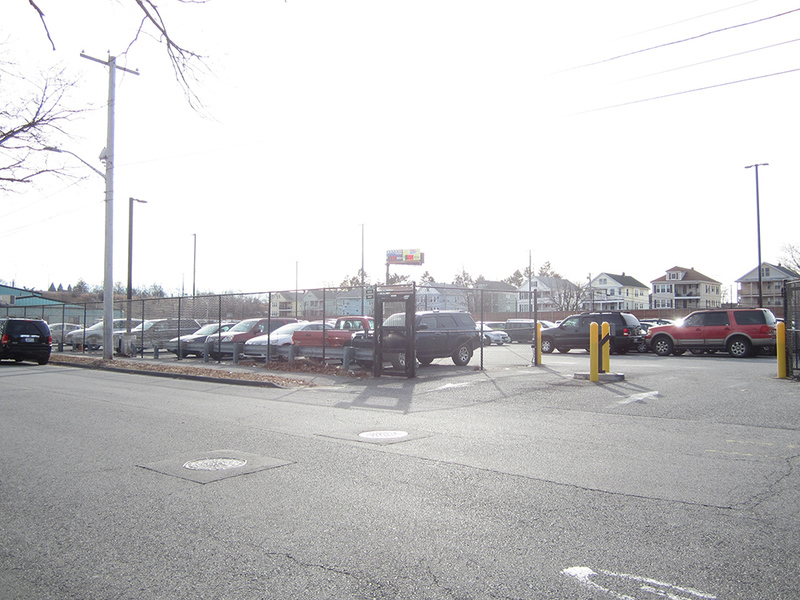 This entry was posted in Announcement and tagged built environment, city, exhibitions, Providence RI by Jordan Goffin. Bookmark the permalink.